After the recent update, I have experienced an incredible amount of drops during all types of gameplay. When the game suddenly drops during a fight, I log back on only to find that the current bot I was using has been reduced in health and the computer bot has full health. I can’t even play the game! I love this game and many from my alliance are experiencing the same. Please help! Hey @Paddi_Ice23G! Sorry to hear about the trouble you're experiencing! 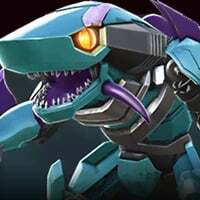 There's currently a thread about update issues that you can follow for information. To keep things neat and focused, though, I'm going to close this thread.